The computer now is really amazing they perform a special task within some few minutes which help us to accomplish our activities without much stress. In some circumstances, there are some little problems that encounter our computers which makes it be more infuriating. So today in this post I am going to discuss some of the top 10 computer problems and their solutions. 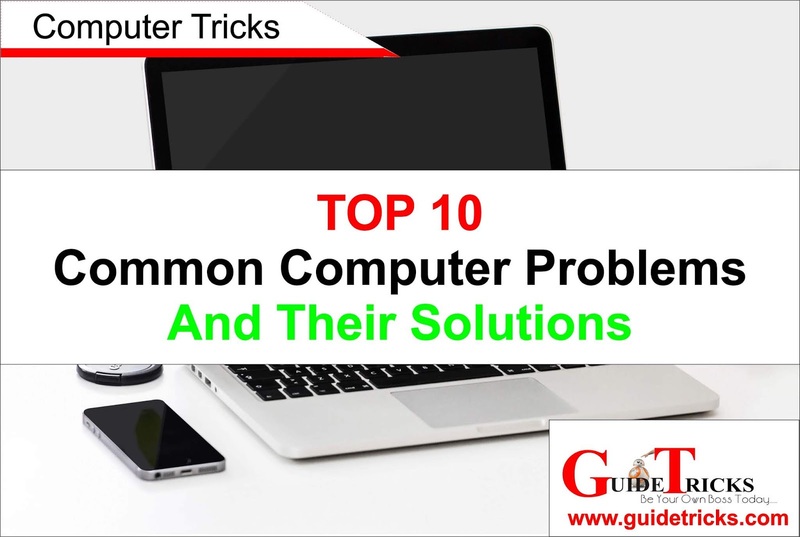 Of course, there are many ways on how to resolve computer problems some are very simple while others need technical skill to be solved, though all the solution I am going to provide in this post will be very easy it does need any special skill to be done or you don’t need to be a specialist. 1.==> BSOD (Blue Screen of Death): This is one of the major problems that people encounter with their computers and the major thing that causes this problem is driver or hardware conflict. The solution to this problem is you need to take a look at the dump file to figure out exactly what cause of the error is. Otherwise, updated hardware drivers or consider the situation in which BSOD happened (for example, you’ve installed new hardware or software) or run hardware diagnostic. 2.==> Missing .DLL files. This is another problem user faces in their computer and what causes this problem is incomplete software or program installation. To fix this problem you have to reinstall the software or the program again or find the missing DLL file and copy it to your operating system folder which is the system32 or SysWOW6432 folder. You can also fix the problem by registering the DLL file using CMD. Example regsvr32 “name of DLL” and you are done. 3.==> Software or Application will not install: This is another problem I also come encounter days back which I think this doesn’t happen to be me along there are lot of other people that face the same problem so what causes this problem here is due to shortage of hard drive space, newer version of the application Is already installed, you didn’t install prerequisite software (for example, vc_redist.x64, MS .Net, .Net framework or DirectX) or the application is not compatible with the Operating system. To fix this problem you need to: free up some space on your hard drive, look for the previous installation of the newer software, install all require prerequisites or acquire the compatible operating system. 4.==> Software or operating system Is running slow: This happens due to lack of functional resources such as RAM, CPU, and HD in some cases it could be a virus or malware that affect the computer system also it could be due to missing updates. To solve this certain problem there are some steps needed to be followed. · Perform a full system scan for viruses if you have a strong virus that you can’t remove then consider operating system reimage or reinstall. · Make sure all updates for your computer are finished and also be very sure that the system reboot to save the changes. 5.==> Computer restarting for several times: This problem also affects a lot of people in their day to day activities which is actually not good and this happens due to software or system update and it could also be a virus. The best solution to this problem is always allowing the windows or software update to complete and in term of the update in some circumstances, the system may require to restart several times allow it to do so this is not a problem it saved some certain files and instructions. and secondly, make sure you have a good and strong anti-virus installed in your computer this helps your computer from virus or malware attack. 6.==> Suddenly, application or computer behaving abnormally: For example, Software crashing, missing files or working very slowly this happens due to virus infection or hard drive problem. the solution to this problem is you should always scan your computer from time to time and also make sure your antivirus is strong and active. The second solution to this problem is to check windows system logs for NTFS system errors or other hard drive related logs and if possible replace your hard drive. 7.==> internet or website issue: Error “404 page not found”. This happens due to the page is missing, deleted, you have entered a wrong website link else the website is shut down. The basic solution to this problem is if a specific website is missing search the website for desired content, double check the website link because it may have been changed or you have made some mistakes when typing in and if all pages are showing 404 error kindly contact the website owner for more details. - The CPU fan is not working or CPU heatsink is loose. - If CPU fan is not working make sure it is replaced and if the Heatsink is loose attach it. - Make sure the room temperature is very conducive because a computer cannot survive in a bad or high poor temperature. 9.==> Low RAM or Hard Drive storage: This happens due to many applications or programs are running or open at a single time otherwise the hard drive is full or too small. Some elementary solution to this problem is first you need to close some applications that you are not using; in addition to that make sure to use an application that uses to much RAM at a time. Furthermore make sure you perform Disk Clean up to free up space by cleaning up the dump files such as the recycle bin, download folder, cache data, temp files and also old OS restore points. Lastly, you can replace your hard drive by purchasing more RAM or ADD and replace the one inside your computer system. 10.==> Very Slow Internet: this is another computer problem that is very annoying and it happens due to downloading too much of data at the same time, too many computers are sharing the same internet connection, Bad WIFI signal/bad network providers signal, and it may also be Virus/malware infection. And the solution to this problem is you have to limit your downloads if too many people are sharing the same internet connection you can limit/set max speed in the router for even distribution of bandwidth. Check WIFI signal/distance and adjust in the router or call internet provider. And finally, make sure you check your computer for virus/malware. Thanks for visiting. I’m sure there are other possible solutions out there for any of these situations and if you know them please share them in the comment box below so that we can all learn from you, and if you found this post very helpfully make sure you share with your lovely ones. 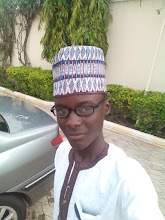 Happy fixing!